With Ted Cruz’s rise in the polls, the false narratives abound. That loud, low rumbling noise you hear outside isn’t another fracking earthquake. 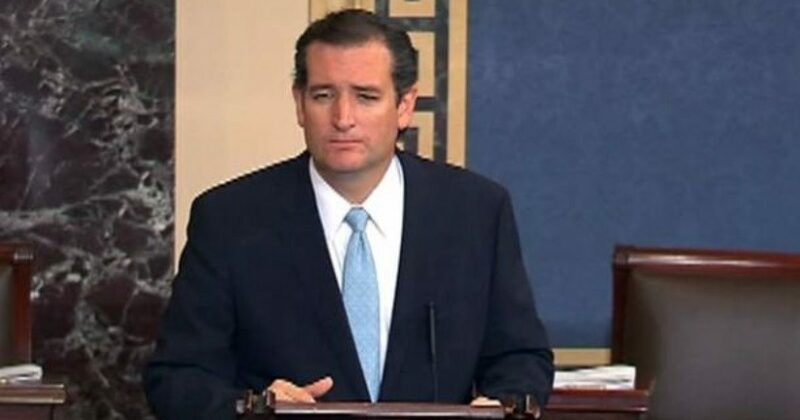 Indeed, it’s political internet going indiscriminately bananas after a new poll showed Ted Cruz leading Donald Trump in the forthcoming Iowa caucus. But clearly anyone predicting Cruz’s ascendancy in Iowa, including very serious pundits like Chris Cillizza, is suffering from a tragically short attention span. The article then goes on to explain why Cruz’s ascension in the polls is no big deal. I agree that Iowa is not the predictor of presidents. However, in the case of Cruz, he climbed the polls differently than most. He just drafted behind Trump, hanging back. Cruz’s ground game was in motion, and it’s stronger than any other presidential candidate. While Trump took the heat, Cruz stood in the glow. Simply put, Cruz has played the best hand of poker to date, and Iowa is only the beginning. The idea with the Point 2 is that Cruz is a flavor of the month, and the author cites examples. But none of the people mentioned have the organization of Cruz. He successfully orchestrated the win in Texas, and he is doing the very same thing at the national level. Less than a month ago, Cruz had over 77,000 people on the ground across the country. Now that he’s gaining traction, that number has almost doubled. Frank Luntz did a focus group after the last Republican election, and Cruz had some of the highest numbers registered. Terror has changed the complexion of the race, and Cruz’s believability factor should have Hillary Clinton shaking like a Chihuahua pooping peach pits.